Four times more likely to win an academic award, such as being on the honor roll. Eight times more likely to receive a community service award. Three times more likely to win a school attendance award. Likely to score higher on their SAT college admission test scores if they have been involved for more than four years of after-school arts study. 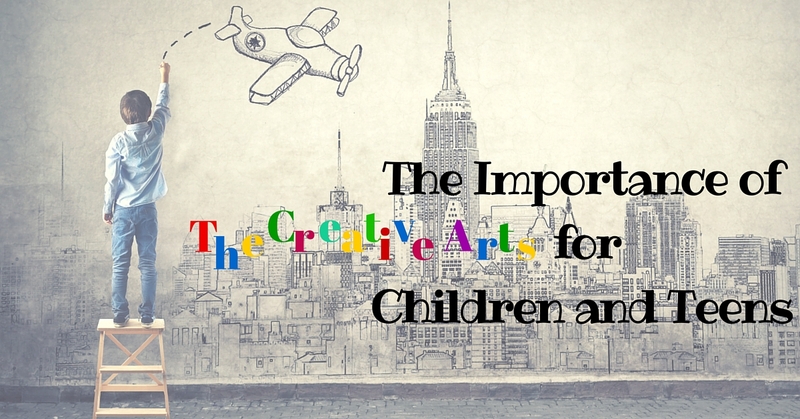 Creating art is a fine way for children to make choices and solve problems. Every step involves making a decision: what color to use, how to make a line, what size to make something. With every choice the object becomes more and more their own. When you read to your children, be dramatic. Act out stories with props and costumes. Encourage them to create their own stories to act out for you. Save old Halloween costumes for dress-up fun. Add to the collection with clothing you no longer need: hats, scarves, purses, shoes, and items you can find inexpensively at garage sales. Put together an “art studio” in your home. Stock it with a variety of tools and materials: crayons, markers, finger paints, scissors, pastels, watercolors, brushes, glues, papers of various sizes and textures, intriguing found objects, leftovers from your own home improvement, boxes and containers of all sizes. Expand your musical repertoire at home and in the car. Venture into unknown musical territory so that you and the children can hear something out of your usual fare. This can be easily expanded by turning to different radio stations and by checking out cassettes and CDs from the public library — all for free! While the music is playing at home, dance together. Teach your children traditional dances you know or improvise with them. Body movement is fun and good exercise. Sing together. Teach the kids your favorite songs. Many of them allow for verses that can be made up, such as “Down by the Bay,” which can have an endless and hilarious number of rhymes added to it. Look for arts programs after school, on weekends, and during vacations. Many community park and recreation departments offer these. Summer camps based on the arts are a good departure from the typical competitive sports camps. Create a scrapbook together. Put photos, memorabilia, drawings, and captions together creatively. In doing so, you will not only have a shared experience but a memory that will last for many years (if you use acid-free paper).